Designed with the active child in mind. 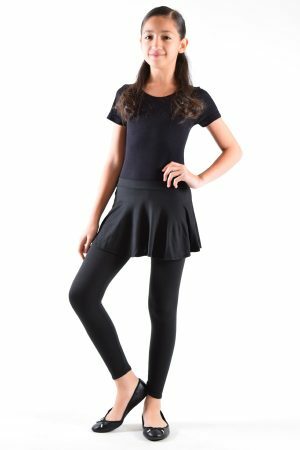 The skirted leggings collection is lightweight , comfortable and easy to care for. The fabric has a natural memory designed to ‘stretch’ with movement of the body while retaining its sharp lightweight structure. Featuring a comfortable waistband, flowing skirt, ankle length and beautiful solids or prints. Try yours with a cap sleeve top and layer with a flyaway cardigan sweater.